PROFILE: He is quiet, competent, and very loyal, but perhaps his most valuable trait is his almost endless patience. Once Prowl is assigned a task, he will keep at it until it is accomplished. He works with proven facts, not imagination or guesses. 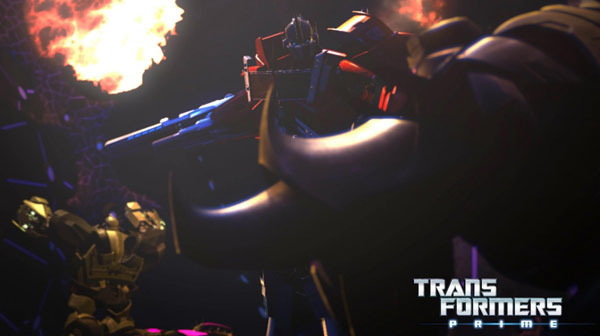 If he has any doubts, he will radio Optimus Prime, his commander, before proceeding. He hates doubts in any form, and he strives to make everything he encounters reasonable and logical. He believes it only when he can explain it. On a personal level he is friendly, but not too sociable. He’s a listener, not a talker, unless someone says something unreasonable. Then he will demand an explanation. 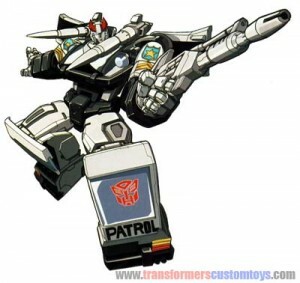 ABILITIES: Prowl has the most sophisticated logic center of all the Autobots, giving him the ability to analyze any combat situation almost instantaneously and then advise on the optimal course of action. For example, Prowl can observe 800 moving objects, compute their probable paths of movement, arid determine the proper counter move in .05 seconds. From his shoulder cannons he can shoot wire-guided incendiary missiles that reach temperatures of 12,000 degrees Centigrade upon explosion. He also carries a semi-automatic rifle that shoots pellets filled with a highly corrosive acid. Its range is 300 yards.